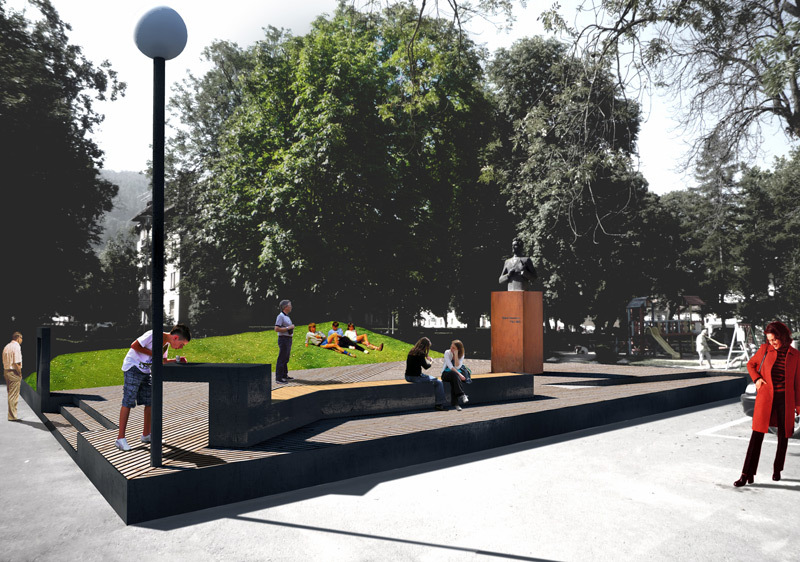 The competition consisted in revitalising the small area surrounding the statue of romanian composer Ciprian Porumbescu. The statue is located on the corner of a small intersection, in the old part of the town near the entrance to Gheorghe Dima park. The municipality also wants to create a series of touristic tours across the city, and this spot is at the intersection of two such pathways. 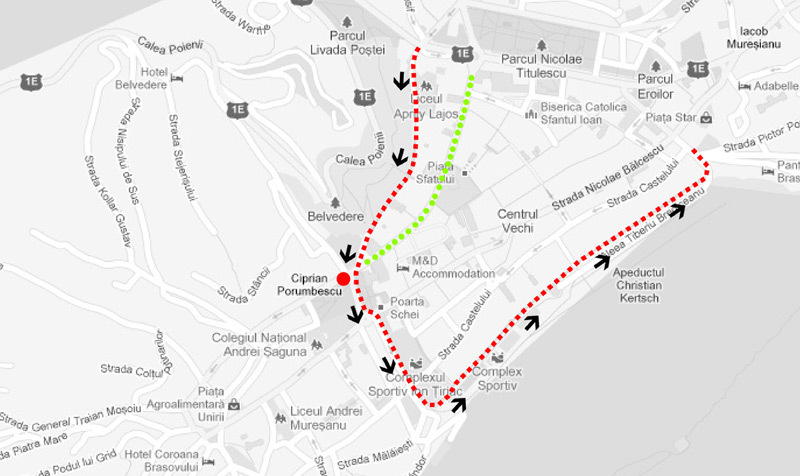 One of the tours goes along the city walls, and the other one is along one of the most circulated tourist streets: Muresenilor str. These two intersect right next to the statue. 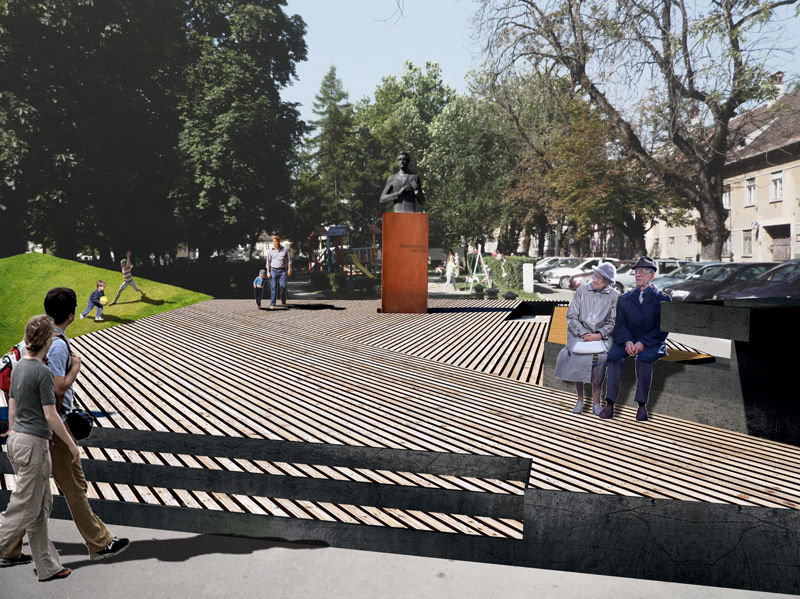 The competition asked for a way to enhance the statue’s visibility and make it important again in the city, while considering the relations with the historical tours and the park. Our answer was to rise the whole area (150 m2) to a comfortable 40 cm on a wooden deck (with steel structure) in order to separate the space from the street and the park and enhance its individuality. Also, given its height and wooden furnishings, the fringes of the deck can be used as benches. At the street-most corner we placed a tall street-light in order to draw attention to the area. This was in conjunction with the historical tour issue for which we also placed an info panel towards the street: information about composer Ciprian Porumbescu and touristic information about the area. 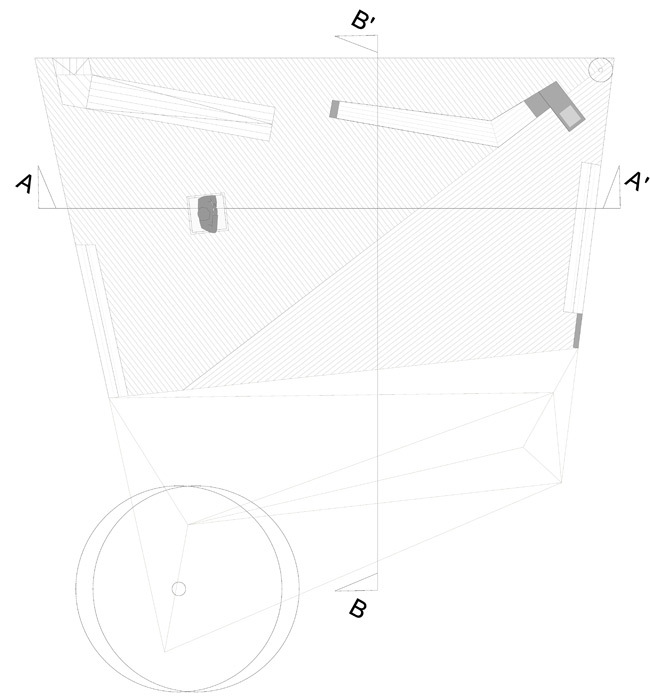 Within the area we proposed two types of urban furniture: a wood + metal bench and waterhole continuing the visual of the streetlight and a “green couch” to be used in summer just opposite of the bench. The bench also has an ON / OFF and volume dials in order to selectively listen to some of the composer’s music. The statue itself remains untouched, but the base is covered in corten steel in order to individualise it within the project itself and, at the same time evoke the passing of time. 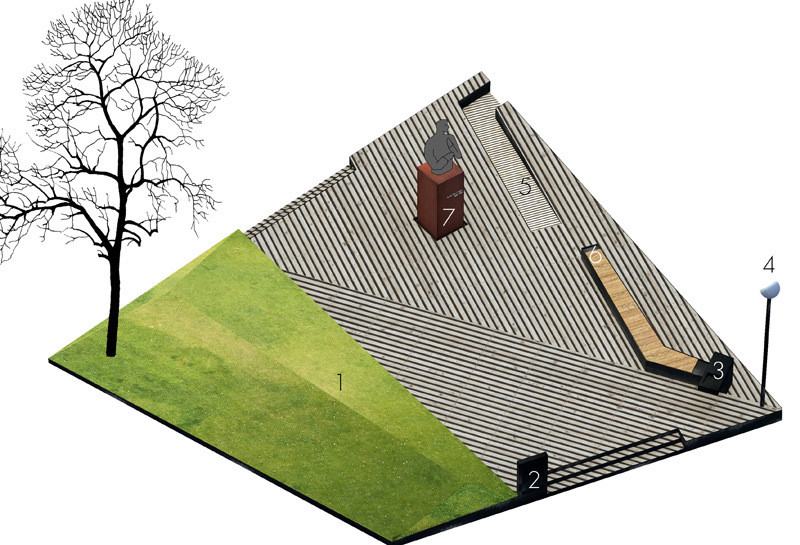 Thus, the overall image of the project is a warm, inviting one: wood + corten steel + lawn + grey-coated metal. We to proposed affordable materials, the overall budget rising up to about ¾ of the given 20 000 euros.